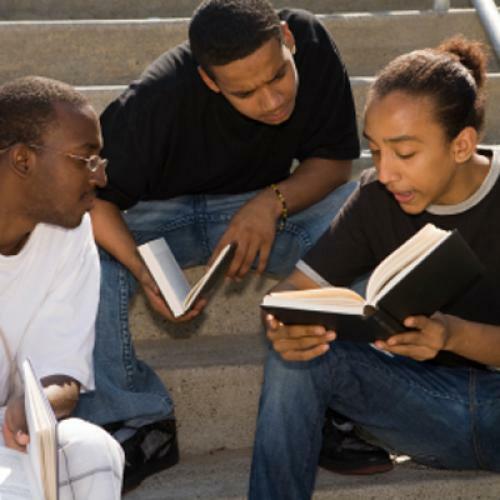 What Should African-American Studies Students Learn? While this year has become best known as the fortieth anniversary of Woodstock, it was also forty years ago that the first African-American Studies department was established, at San Francisco State University. Forty-one fall semesters later, there are hundreds of such departments. Has what they teach evolved with the march of time? I explore that question here at the Minding the Campus site sponsored by my think tank. My point is that the typical African-American Studies department holds front and center a particular lesson: that racism is more influential in American life at present than one might initially think, and always has been. Urban history? Blacks were penned into segregated districts and then factory jobs available to modestly educated men were moved to China. Politics? Radicalism has been most interesting, whether or not it was the source of most black success. Performance? Most resonant in how it Spoke Truth to Power. Is that all we are? Is that all we have been? Is it irrelevant to cover how black people have triumphed against the obstacles? Especially since so many have trumphed that today there are more middle class black people than poor ones? Is the main relevance of the fact that we have a black President--ahem!!! !--that his election didn’t mean, as if anyone thought it did, that there did not remain some racist idiots here and there? It’s time that African-American Studies departments let go of the sixties imperative to defend blacks as eternal victims of racism. Black people can do their best even under imperfect conditions--and if that reality is irrelevant to an African-American Studies curriculum, then we must question the value of said curricula to those whom they purport to speak up for: real people in this real world. This real world which will never be perfect--even for descendants of African slaves. In 2009, the study of blackness must be the study of a race most of whose members are now victors, not victims. Certainly the victims must be studied--but only within a genuine commitment to saving them, not chronicling them as helpless until America turns upside down in a fashion no one could seriously imagine will ever happen. Two things are crucial in my piece at Minding the Campus. First, I do not argue that African-American Studies departments should not exist. Any claims that this piece is “against Black Studies” will be, as Obama said in his speech on health care not long ago, lies. Second, I do not assail teachers within them as charlatans or anarchists. At all. I know they are all working at the top of their abilities. I just question what the guiding imperatives of their departments are, and ask them to address a wider range of arguments. This piece is simply a call for a true African-American Studies paradigm: a study of black people entire, with ample room for views from all sides. Black conservatives should be read alongside Du Bois and Baldwin, with no clucking and hedging. Any hovering consensus that leftist positions are “truth” should be a mark of failure. Here is what I would hope to see in the wake of what I write. But then, when “proper”-thinking black writers are invited to speak, there is no sense that their talk is incomplete without a “conservative” person spending fifteen minutes having their say. African-American Studies departments typically see themselves as doing their jobs in harboring a “controversial” speaker, partly out of a wan gesture towards true intellectual engagement, but equally as much because they know that person will, because of shock value, fill seats. In an African-American Studies department of the kind I suggest, speakers and teachers of all walks would be permitted--note: not just conservative ones--and students would be able to come to their own conclusions. That is, be educated in the true sense. Do African-American Studies departments want to deny their majors an education in the true sense? Read on, again here.